Celebrate the birthdays of your website users. 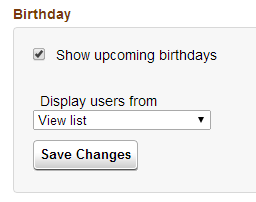 The Birthday module allows you to customize what group of users are displayed for the upcoming birthdays. Simply click the drop down "Display users from" and select the tags or teams you wish to be displayed. This can be useful for celebrating special users! An example of the Birthday module in use. 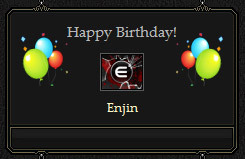 An example of the Birthday module settings.